Since I sent all my projects last season, I’m starting to make a new projects list. 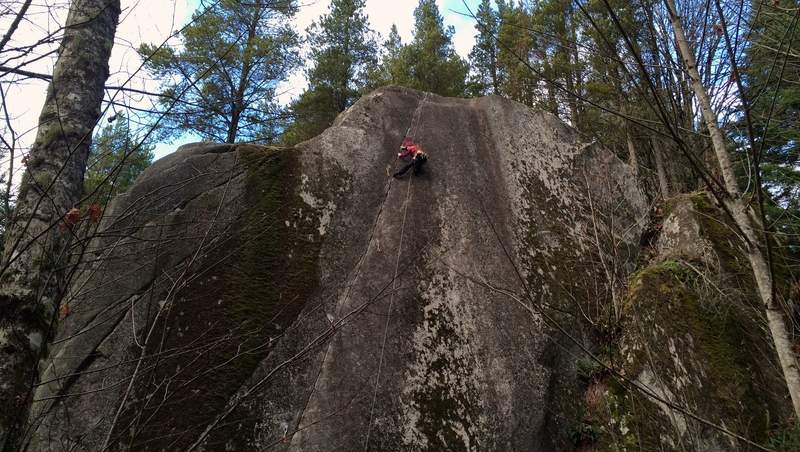 I’ve already had some climbs in mind, Digital Dexterity (5.12c) in Smoke Bluffs was one of them. Pin scarred cracks with a finger pads sloper for crux, feet are in tiny cracks or smearing on crystals. I am really stoked that this climb is one of the fast drying climbs. It was high 0ºC (32ºF), the route was dry and friction was amazing. I often do top rope solo when I work on a project. I would feel terrible if someone was belaying me in a cold shady crag while I figure out the gear protection and the moves. I like using Ushba like solo device for top rope solo, rope runs very smooth that you don’t feel the weight of a rope at all. It is crucial that the rope isn’t pulling me down when I’m climbing on sloppy finger locks and tiny crystals. Some designs have teeth on them which can damage a rope. I use uAscend from GrandWall Equipment which doesn’t have any teeth. 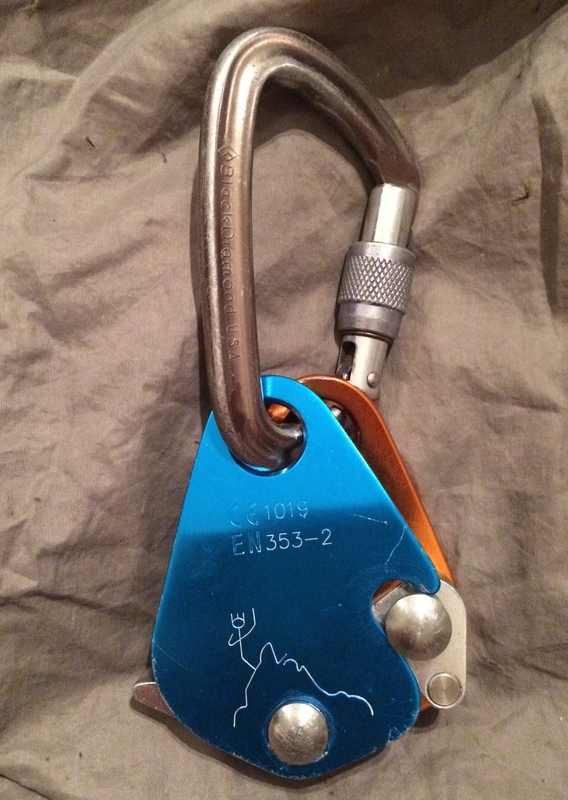 I coil the rope at the end and hang it so uAscend runs smooth without any loop of slack. I figure out exact moves and gear placements I want to do, the least pumpy way as possible (most of the time, it’s my body positions and feet placements that I need to adjust) on top rope solo, then I start leading it. Sometimes, as long as I know the potential fall wouldn’t injure me, I start leading climbs that I’ve never got the top rope clean. The way rope pulls is different on lead and top rope, and I always have better head when I’m leading. When I try, I give everything I got. I have moments when I don’t know if I have enough energy to do the move, but I will do it with honest go anyways. Sometimes I fall, but I also surprised myself so many times doing the moves I wasn’t sure about. Projecting isn’t always successful. Even after so many attempts for red point, sometimes I just can’t do the move or put all the moves together without hanging/falling. When that happens, I try not to get obsessed with the routes. Climbing is my passion, not obsession. I’d hate to be so tired of a climb that I don’t even want to go back to it after I get the red point. I’m happy to repeat any of the projects I’ve done, because each move is really fun to me. If I can’t get the climb after giving everything I have, I admit that I’m not strong enough for the route, YET. I train and work on other climbs that will get me stronger, then come back to the project. I’m very excited about this coming season to see how strong I can get with my current training. There are many climbs that I felt I wan’t strong enough for, and I can’t wait to get back on those climbs.